New app helps parents track their child’s development in a fun and easy way. 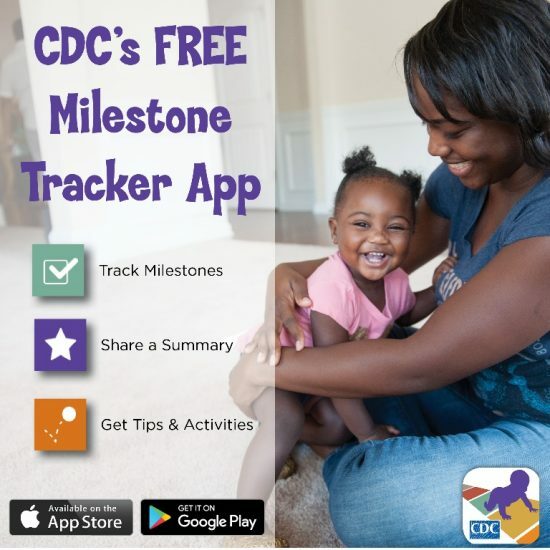 The Centers for Disease Control and Prevention (CDC) is pleased to announce the launch of CDC’s Milestone Tracker, a free app for tracking every child’s development in a fun and easy way. This app is one of a variety of free, family-friendly materials available through CDC’s Learn the Signs. Act Early. program. Although it is packed with parent-friendly features, healthcare providers can also use the app to help with developmental surveillance as recommended by the American Academy of Pediatrics. Early care and education providers can use it to better understand their students’ skills and abilities and to engage families in monitoring developmental progress.